While it is true that Def Leppard’s lyrical messages most often deal with the time-worn teenage pastimes of partying and getting it on, it’s not so much what they’re saying as how they’re saying it–with all the conviction and drive young hands can channel through a steaming stack of amplifiers. And there must be a lot of record-buyers out there who like the hard-edged sound of Def Leppard, for the band’s latest album, Pyromania, is nudging Michael Jackson’s Thriller at the top of the North American record charts. In support of that platinum-selling LP, the boys in Def Leppard (their average age is around 21) will be performing with legendary rockers Uriah Heep next Wednesday, July 21. Singer Joe Elliot, guitarists Steve “Steamin” Clark and Phil Collen, drummer Rick Allen and bassist Rick Savage will be dishing out their youthful brand of British boogie and, believe me, the only “pop” available will be the stuff you drink. I spoke to Savage over the phone from Augusta, Georgia last week and asked him about the new album, it’s producer Mutt Lange (AC/DC, Foreigner), and the groups hometown of Sheffield, England. 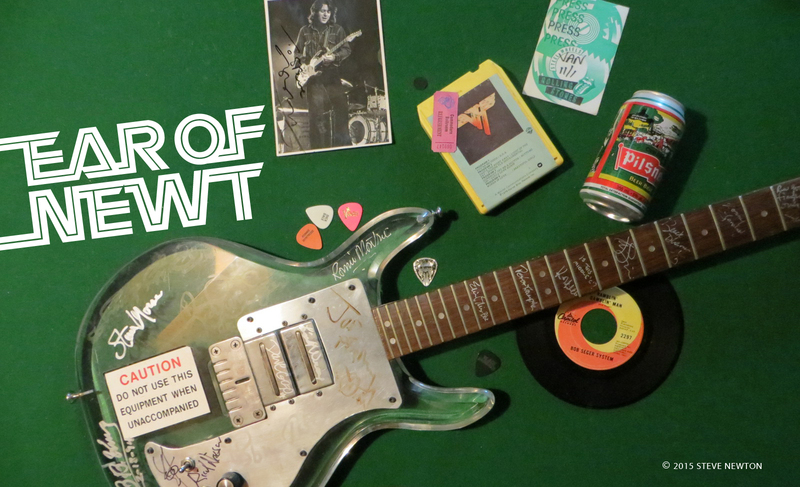 Why did the guitarist on your first two albums, Pete Willis, leave the band? It just got to a point where he wanted to be in a band where he had complete control. He wasn’t 100 percent happy with the way that we were actually doing the songs, etc. What didn’t he like about them? I don’t know, it was just a personal thing with him. But it was an amicable split, really. It was probably best for us and best for him. He’s back in England now, getting his own band together and doing it exactly the way he wants to. I think the band is called Venture. How does your new guitarist Phil Collen’s guitar-playing style differ from Pete’s? Phil is more jazz/rock oriented than Pete ever was. He’s what we call a speed freak; occasionally he tries to see how many notes he can put in a five-second solo. And with him being more jazz/rock oriented he does have a stronger background of chords and what have you. He and Steve complement each other really well because they have contrasting styles. Would you call Def Leppard a heavy metal band? It just depends. I wouldn’t, no. Then again, I’m struggling to find another term that actually suits the band. A melodic hard rock band is what I’d call it. We get called heavy metal, but I don’t think were quite the same as Iron Maiden. Def Leppard doesn’t have all the satanic imagery and leather of bands like that. They seem to be a little more stylish as far as appearance goes. Yeah, we try to keep quite away from that. I mean we’re good friends with Iron Maiden, and we know that they don’t take any of it seriously whatsoever. It’s just one way that people pick up on you. We’d rather dress up like Duran Duran than Motorhead. Where are the members of Def Leppard from? Everybody is from Sheffield apart from Phil; he’s from London. What is the musical atmosphere like in Sheffield. Are there a lot of hard-rock bands there? Yeah, and there’s also a lot of new-music type bands. ABC are from Sheffield, and so are Human League and Heaven 17. At the moment there’s a hell of a lot of bands that actually originated in Sheffield. Did the members of Def Leppard grow up together? Well we all knew at least one other member in the band without actually knowing everybody. I knew Pete, Pete knew Joe, and Joe knew Steve. We decided to get together after we finished school. It was just something to keep us off the streets, and it got a little bit out of hand. It just took off. Was the band weaned on the music of groups like Thin Lizzy and Mott the Hoople? Pretty much so. And also the early Queen and mid-period of Zeppelin. Your latest album, Pyromania, was produced by Mutt Lange, whose name is on the credits for every son on the album. is he like a sixth member of Def Leppard? Well he is in the same way that George Martin was with the Beatles. He didn’t actually write any of the songs on Pyromania, but we spent such a long time arranging them–ten months–that we thought it only fair to give him the credit. He spent a hell of a lot of time piecing things together, but it was all the band’s material. Were you happier with his work than with Judas Priest producer Tom Allom’s on the first album? What happened on the first album was that Tom let us put all our own ideas forward–there wasn’t much discipline around. It was good fun actually doing the album, but it showed in the long run whereas the last two albums, which Mutt produced, have been a lot harder work and less fun, but the overall effect has been better. What is your personal favourite song on Pyromania? It’s difficult to say now because I’ve played all the songs so often, but I remember when we just finished the album my favourite song was “Billy’s Got a Gun”. What do you like that song especially? It was nice to write a song that was just slightly longer than your average three, four-minute single-type song. I just felt the material on the song and the ideas and the keyboard textures were the best. How did Def Leppard gets its name? The actual name came about four years before the band was actually formed–it was an idea of Joe’s back in about 1975. All he used to do was sit at the back of the classrooms at school and invent names for imaginary bands and draw posters of them. When we got the band together he just suggested Def Leppard and we thought it sounded okay. Are you surprised at the success Def Leppard have acquired of late? We’re really surprised. I mean we expected the album to do well, but in all honestly we’d never expected it to do this well. I don’t think any band has the right to expect their album to do as well as ours is doing. It’s something that you always hope for but never actually think is going to happen. Nice! Luv the classic interviews, having not read or heard many of them. It’s interesting to look back on and think back to what you were doing as well when you first heard something that just came out which was so awesome. Many times those moments set an awesome tone around myself and my friends, which will be etched in the memories forever.